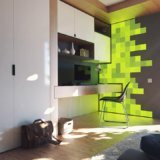 Categories: At Home, Nanoleaf, Smart Home. 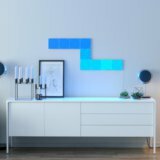 With the Nanoleaf Canvas, you can easily create your own lighting masterpiece. 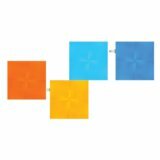 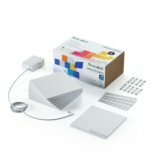 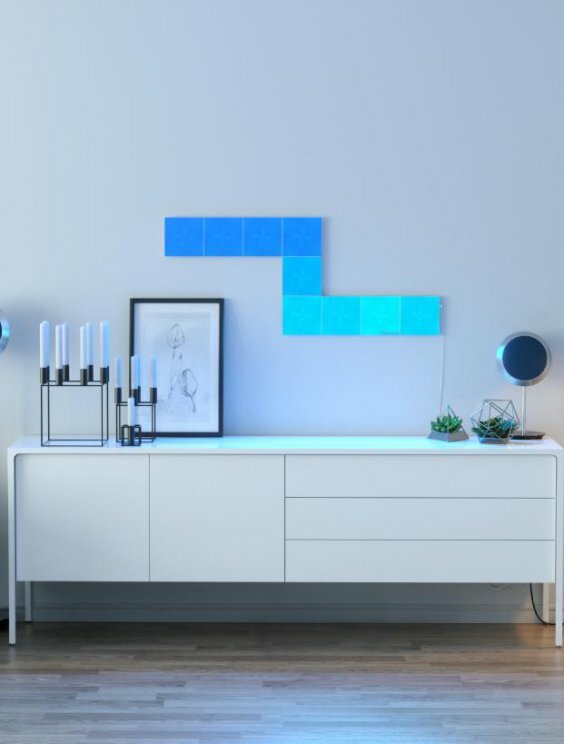 The Nanoleaf Canvas is made up of touch-controllable LED Light Squares that connect together along any side to create any design you choose. 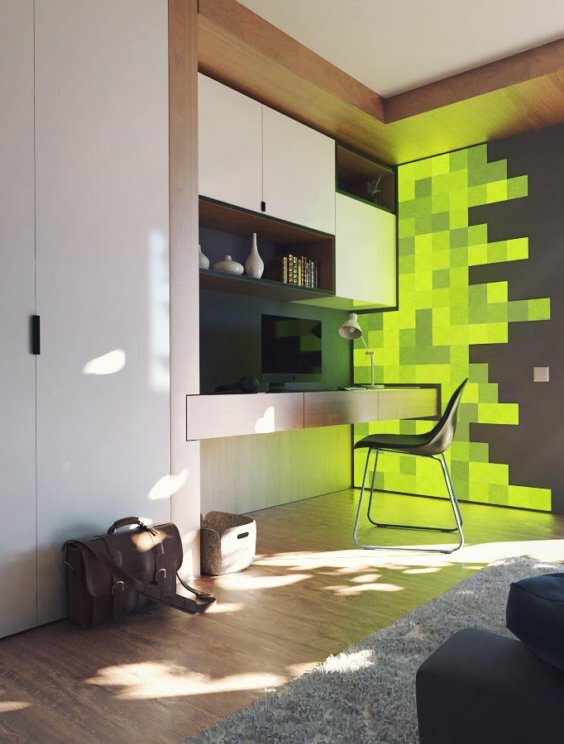 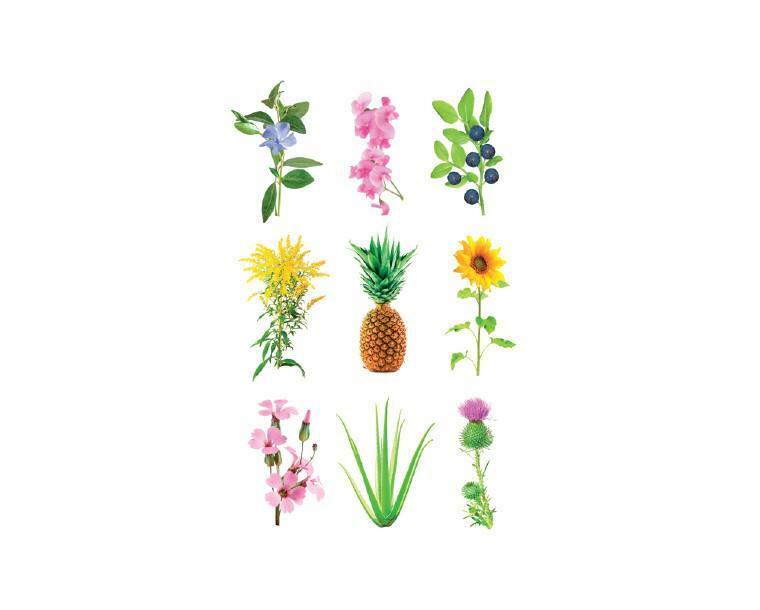 Whether it’s creating a clever ‘smart art’ decoration above your sofa or a colourful party wall in the basement rec room, adding some serious flair to your home is now a snap. 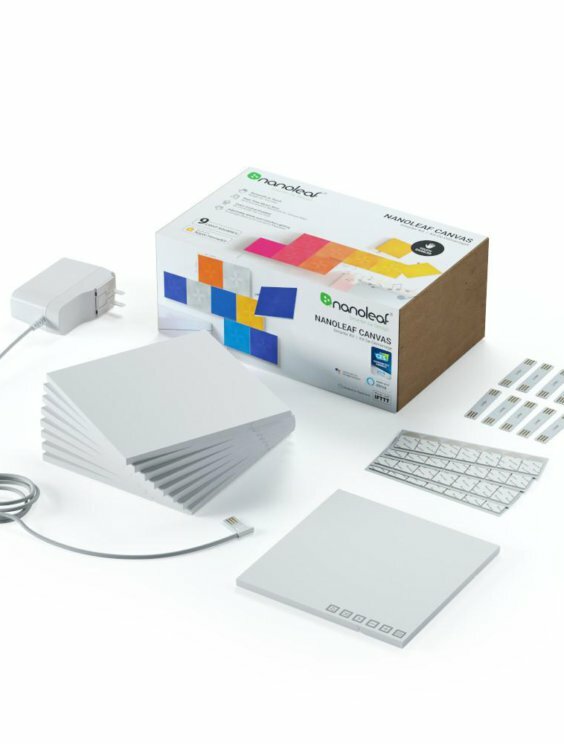 The Light Squares are packed with high-tech features like easy integration with your smart home, touch control and built-in music sync. 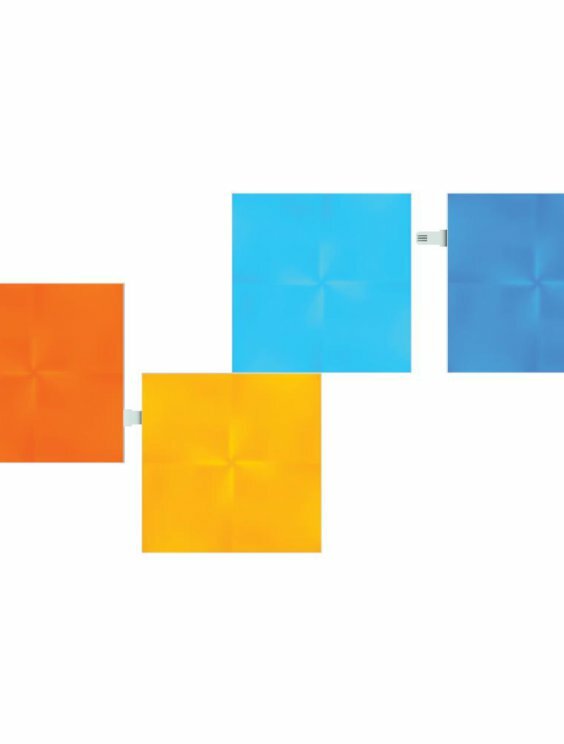 Easily mount to non-porous surfaces with the included “no-drill” mounting solution and our signature modular design.